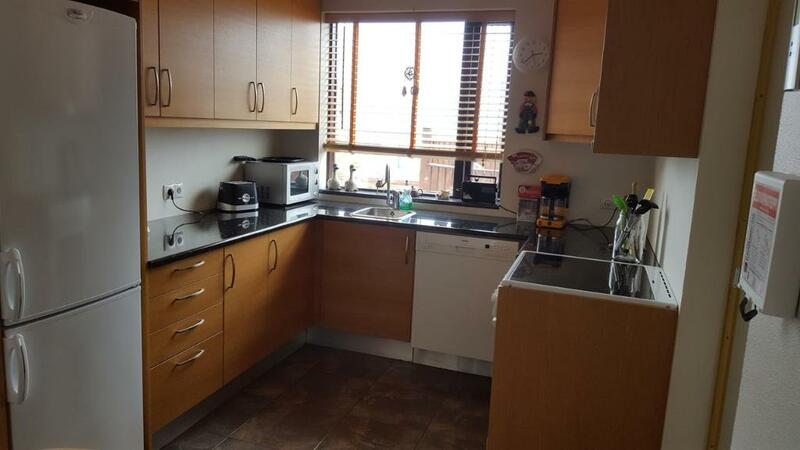 Spacious kitchen, heated floor in bathroom, comfortable beds and having a washer and dryer! And, the location was perfect for a tour of the peninsula. Grundarfjordur is a nice small town right by the Kirkjufell mountain. This apartment was kept very clean and had a great location. 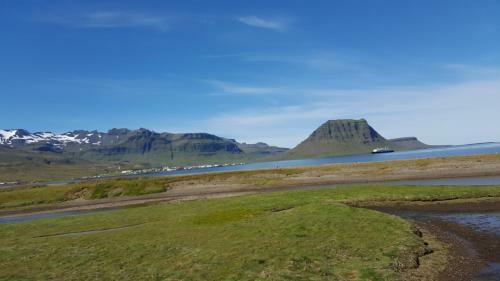 You can see the Kirkjufell mountain pretty much from the apartment and a short drive will take you to the base of the mountain and to the waterfall in front of it. Comfy beds, great facilities and ambience! They’ve got a nice collection of CDs! JF Comfy Stay is exactly as its name indicates. It's just like home. Nothing more, nothing less! It locates at corner of beautiful church. You can see the famous church mountain just from church view. 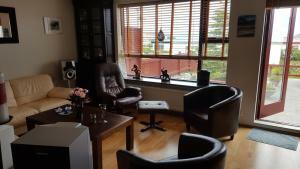 It's the best stay we experienced in our 12 days Iceland journey in late August. Church mountain is the great place for northern light shooting. We are so lucky to have a clear sky and strong northern light index 7 on 8/31/17. Super clean and it had wonderful amenities and fast wifi. Great kitchen and comfy beds. We wish we could have stayed longer than one night! Excellent host. Had everything one needs to stay comfortably. Location: it is very close to Kirkjufell, and we could be able to finish the day late before running here. And it was easy to find the place. Clean rooms, the house is big for three and the living room is very cozy. There is a nice garden at the back and I love sitting on the sofa watching the snow throughout the window. Every little thing in the house is well taken care of, from reading books for free to bathroom amenities, and it is all very clean. Lock in a great price for JF Comfy Stay – rated 9.4 by recent guests! 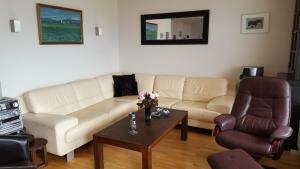 Located in Grundarfjordur in the Vesturland region, JF Comfy Stay has a terrace and sea views. 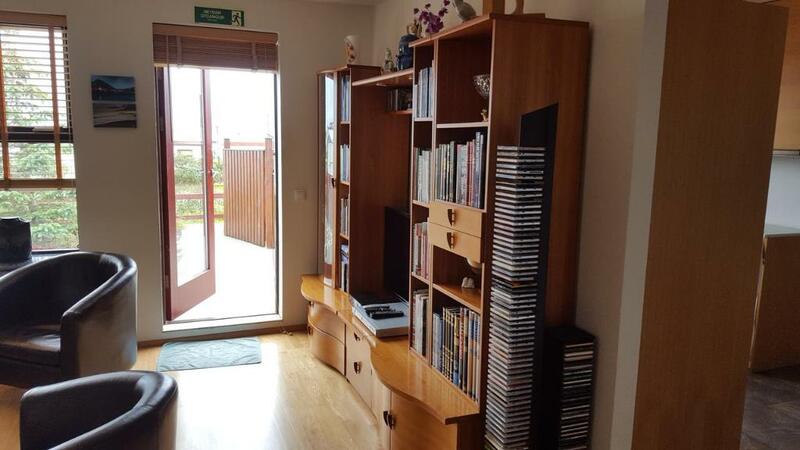 Featuring mountain views and a garden, this apartment also has free WiFi. The apartment consists of 3 separate bedrooms, 1 bathroom and a living room. A flat-screen TV with cable channels and a DVD player are available. When would you like to stay at JF Comfy Stay? This apartment has a dishwasher, sofa and DVD player. Family friendly apartment. This is a very cosy apartment with all modern conveniences. 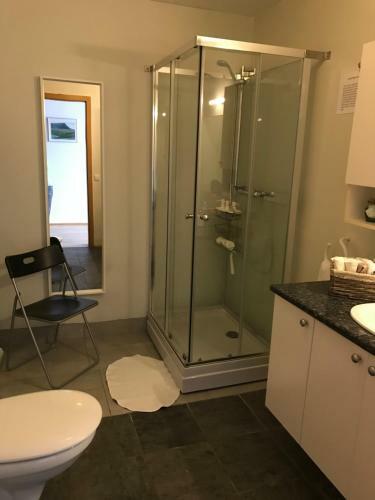 Close to all amenities Grundarfjordur has to offer. 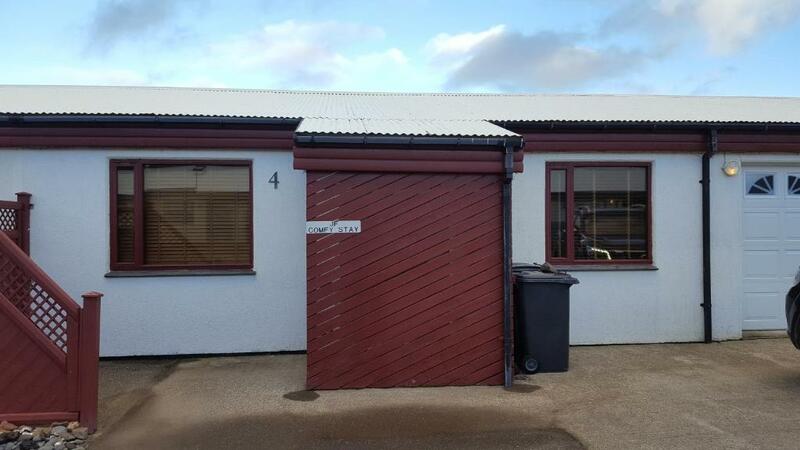 Tidy garden with spacious deck and windbreaks, barbeque and outside furniture. A wonderful apartment for a family or when several people are travelling together. Situated in a quiet cul-de-sac close to all amenities such as shops restaurants swimming pool etc. The bus stop is within walking distance. Kitchen, laundry, bathroom, living room, 3 bedrooms all with made up beds. There is also a toddlers portable bed, if needed. ( Just let us know in time if it is needed so we can be prepared. ) Neat and tidy garden. Guests can cook meals, make coffee / tea for themselves and wash and dry clothes, etc. There is off street parking for 3 vehicles. This apartment has all mod cons such as central heating WiFi access etc All instructions will be explained by the owner. House rules are: No parties. Non-smoking indoors. We expect that the guests respect our furnishings and property. Please keep the house clean and tidy. Please respect the neighbours privacy and keep the noise to a respectable level. But most of all enjoy your stay. I am 67 and my husband is 65 years old. We have four adult children and four grandchildren + a few more not blood related. Jasmine, our dog, follows us wherever we go. We have a small business that we run together. We enjoy walking in Iceland's lovely nature, also travelling both in our country and abroad. We love planting trees and watching them grow. Food is a great hobby and we enjoy both cooking and eating good food. It's fun to taste new food and experiment with cooking. Grundarfjordur is located in the northern side of Snæfellsnes peninsula, which is best known for the glacier Snæfellsjokull who is famous as the centerpiece of Jules Verne's Journey to the center of the earth. Our house is in a quiet neighborhood in a cul-de-sac. The bus stop and a grocery store are within walking distance. A swimming pool is 3 minutes walk away. We highly recommend the fully licensed restaurant Bjargarsteinn that is situated by the sea and within walking distance. They have an excellent seafood menu using local ingredients. 5 kilometres from Grundarfjordur is an Icelandic horse farm, Berg, where it is possible to go on guided horse treks. (during the summer months). Láki Tours runs special boat trips from both Grundarfjordur and Olafsvík. Whale watching, puffin tours, sea-angling and the midnight sun. An information center are within walking distance. There is plenty of information about Snaefellsnes and all the natural wonders that are worth a visit in the area. World famous Kirkjufell (mountain) and Kirkjufell waterfall are within walking distance. The Snaefells glacier is within a short driving distance. Many marked walking hikes are in the neighbourhood. House Rules JF Comfy Stay takes special requests – add in the next step! JF Comfy Stay accepts these cards and reserves the right to temporarily hold an amount prior to arrival. Please inform JF Comfy Stay of your expected arrival time in advance. You can use the Special Requests box when booking, or contact the property directly using the contact details in your confirmation. - The Stereo was scheduled to play music automatically, I was surprised and a little panic at first. - The door of the room next to the kitchen was just a hinged door so the smell from the kitchen could leak in. - Host is very fast to respond. 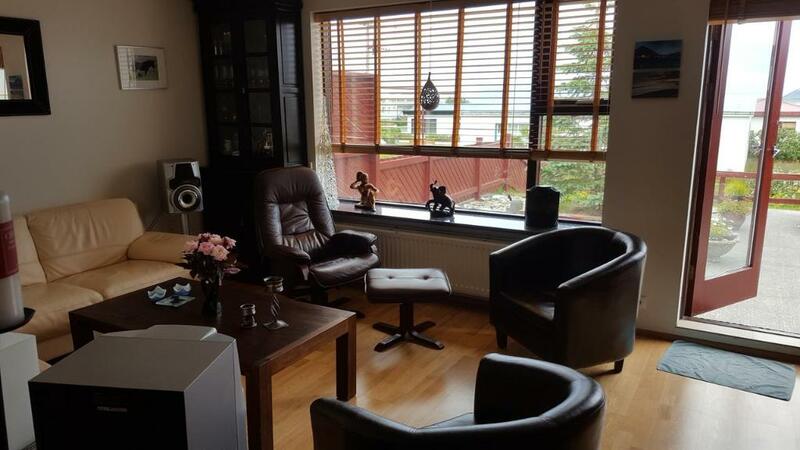 - Great location : drive about 15 minutes to the famous Kirkjufell, near supermarket and gas station. - Apartment is clean, tidy and full of facilities. - Love the information they provided around the house. The hot water in bathroom was not enough for us, party of 5 adults. The hot water was supplied by water tank. Comforter on bed was quite heavy, which is not for everyone. This is more of a European thing, than a complaint about this property. Good location, nice view. Good facilities including drying machine and sound system. The bathroom was a little dated and the sign about potentially insufficient hot water for showers was a little worrying (though it didn't run out). Lots of little signs in the place about what to do or what not to do were a tad annoying. the location was great for the Snaefellsnes peninsula. Everything in the place worked well and kitchen was spacious and fully equipped so it encouraged us to cook. There was also plenty of space in the laundry to hang washed clothes (we stayed 2 nights). Great location. Comfortable, spacious, fully equipped and good communication with owners. Host is really good and location is easy to find.too. Overall this is just a perfect place for families and friends. The only issue was with check in but it was because we didn't activate phone service and could only get wifi at restaurants/hotel so we got there and couldn't figure out how to get in. We had to find a cafe with wifi. The cafe allowed us to use their phone and the host told us that they had sent an email that afternoon with the code and all the property info. Once we got that we had no problem getting into the house. The property was the best one we stayed in during our 10 day road trip around Iceland. It was very comfortable, warm, well stocked, and in a great location just a few minutes from Kirkjufell and near the grocery store. It was the only one that had 3 bedrooms during our entire trip and that was great for our group. Fully facilitated, clean and tidy! Great location which closed to Kirkjufell. The House was very welcoming and comfortable, with a lot of character.